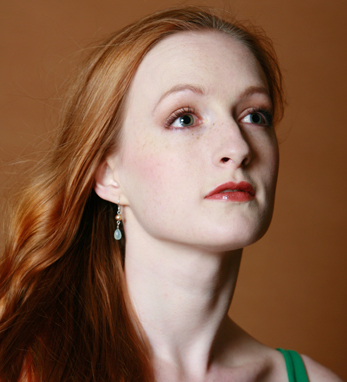 Gillian Murphy joined American Ballet Theatre as a member of the corps de ballet in August 1996, was promoted to Soloist in 1999 and Principal Dancer in 2002. She created Clara, the Princess in Alexei Ratmansky’s The Nutcracker, leading roles in Glow-Stop, Kaleidoscope, Rabbit and Rogue and Thirteen Diversions and featured roles in After You, One of Three and Within You Without You: A Tribute to George Harrison. Raised in Florence, South Carolina, Gillian Murphy began her ballet training at the age of three in Belgium and continued her ballet classes at the age of five. After training in South Carolina as a member of the Columbia City Ballet, she continued her studies at the University of North Carolina School of the Arts. In 1994, at the age of 15, Murphy was a finalist at the Jackson International Ballet Competition. In 1995, she was awarded the Prix de Lausanne Espoir after performing the final round at the Bolshoi Theatre in Moscow. In 1996, she was a National YoungArts Foundation Winner in Dance. In 1998, she was honored with a Princess Grace Foundation-USA grant. The Princess Grace Foundation awarded her its highest honor, the Statue Award, in 2009. In May 2014, Murphy was awarded an Honorary Doctorate from her alma mater, the University of North Carolina School of the Arts. Murphy has appeared as a guest artist in Japan, Mexico, Germany, Italy, Canada and throughout the United States. She made her debut with the Mariinsky Ballet in March 2008, dancing Odette-Odile in Swan Lake. She danced La Bayadère with The Australian Ballet in 2014. Other guest appearances include the Royal Swedish Ballet, the Kiev Ballet and the 2009 world premiere of a new production of The Nutcracker, directed and choreographed by Ethan Stiefel for the University of North Carolina School of the Arts. A full profile of Gillian Murphy appears here in the June / July 2016 issue of Irish America.